Jeju Island has been recognized by UNESCO as an ecological reserve and world heritage site, and at the same time considered as a World Geological Park because of its pristine natural environment and beautiful sceneries. most especially, Kangjeong village where the government plans to construct a naval base was already recognized as an ecological reserve for absolute protection because of its soft coral beds and rare basalt rocks rarely found in the world. 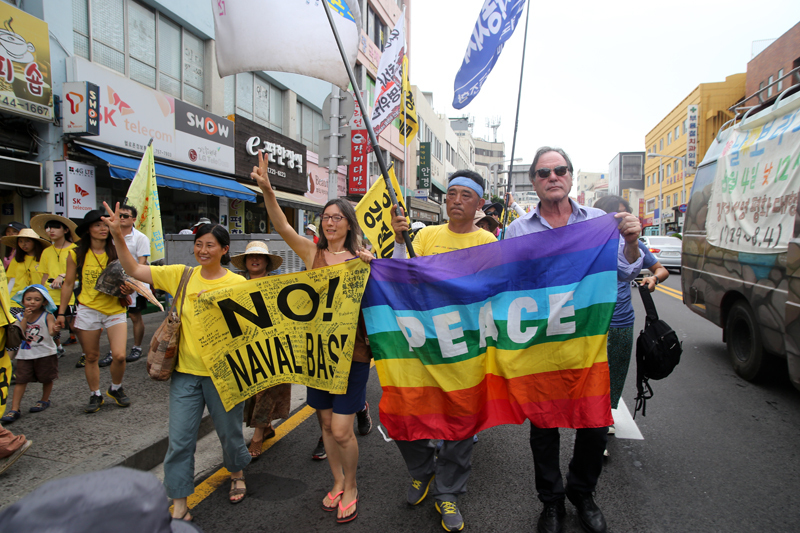 We, representatives of varied religious communities are greatly concerned that the beautiful and peaceful Jeju Island will be turned into a large naval-military facility as US’s advance base in East Asia, thus creating tensions among Asian neighbors. Furthermore, the construction of a naval base in Jeju Island will not promote peace and stability in Northeast Asia and the world. We believe that genuine peace can only be brought by mutual cooperation and dialogue but not by military superiority. We also highlight the Korean government-initiated undemocratic decision-making processes. The desperate appeal of Kangjeong villagers to protect their peaceful living and land has been completely ignored and many violent and illegal methods have been used to suppress the villagers’ human rights and quash their appeal. The power entrusted by people to governments must respect the democratic legal process. Moreover, the government dependence on violent methods is unjustified. We will pray and act for an immediate stop of the naval base construction as well as for the restoration of peace at Kangjeong village.